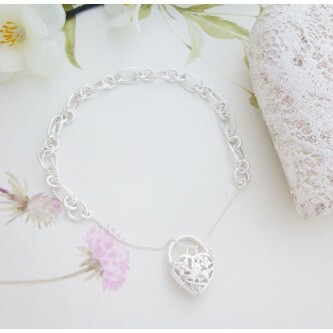 A beautiful quality solid silver bracelet with 'I Love You' engraved on a round silver disc, pretty! A lovely silver double heart t-bar bracelet, looks fabulous on, really pretty! 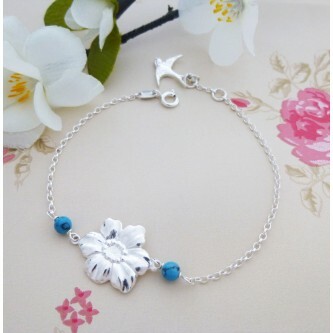 Pretty silver flower bracelet featuring two delicate turquoise stones, very sweet. Stunning silver link bracelet perfect on it own or you could add your own charms!